A January bidding war between Watford and Fulham could be in the offing after both clubs took an interest in AC Milan defender Mateo Musacchio. 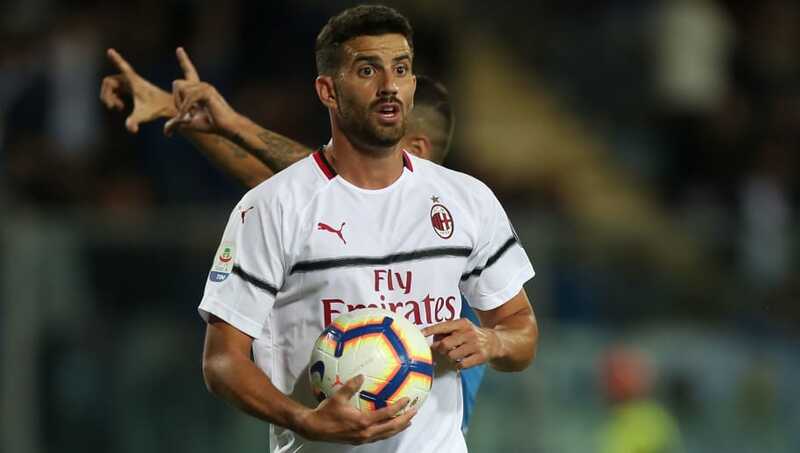 After moving to the San Siro from Villarreal in 2017, Musacchio played regularly for Milan in the first half of last season but became an increasingly peripheral figure after Gennaro Gattuso's appointment in November, making just four Serie A appearances after the turn of the year. However, he is yet to miss a minute of league football at the start of this season, having replaced Leonardo Bonucci at centre back following his return to ​Juventus. ​Calciomercato claims that Musacchio has caught the eye of both ​Watford and ​Fulham. Watford have been following him since his Villarreal days, with owners the Pozzo family having considered signing him for Udinese. Many people had expected Mattia Caldara to partner Cristian Zapata at the back for ​Milan this season, but it was decided that he was not ready. With Musacchio starting on a weekly basis instead, Gattuso is understandably reluctant to sell the 28-year-old. He cost €18m when he signed for Milan last year and is under contract until 2021, so the Rossoneri hold all the cards in this situation. Fulham in particular could certainly do with defensive reinforcements, as they have conceded 21 goals in their first eight matches of the season - four more than any other Premier League team. Watford's centre back pairing of Craig Cathcart and Christian Kabasele have been much more solid, but they will be split up for the Hornets' next Premier League match after Kabasele was sent off against Bournemouth on Saturday.